There are some products that are so pervasive and ubiquitous within a community that you almost can’t picture a situation without them. Graphic designers and Macbooks. Hipsters and rolled up sleeves on a buttoned down shirt. 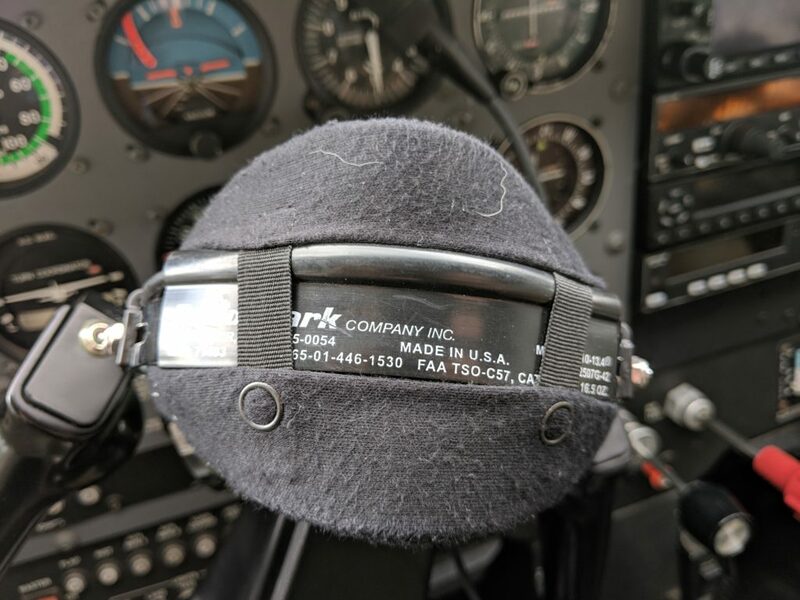 Pilots and David Clark headsets. But just because something is common doesn’t mean that it’s the best idea. I bought my David Clark H10-13.4 Aviation Headset the day I enrolled in flight school back in San Antonio. 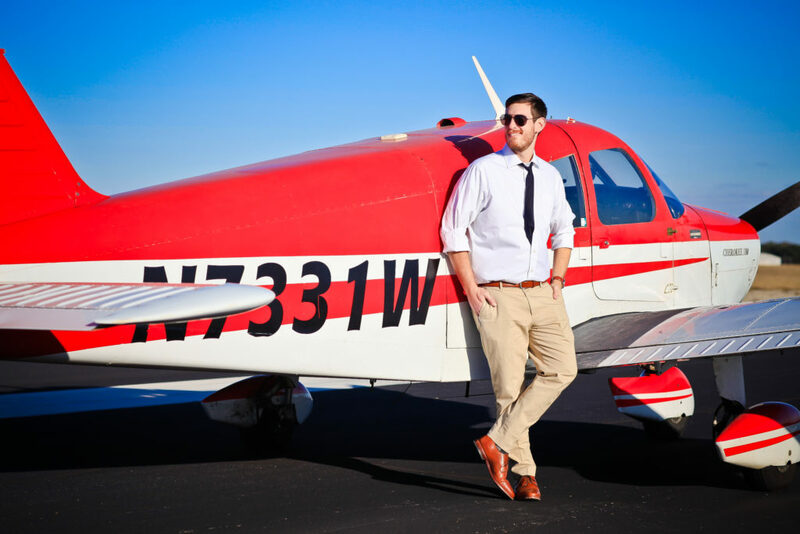 Texas summers are notoriously hot, and considering the sizeable chunk of change I was about to spend on flying lessons I figured that the least I could do was spend the equivalent of an hour and a half of dual instruction time on making sure I wasn’t wearing something that had been marinated in the sweat of dozens of other students. I bought the headset because it was the #1 most recommended headset on the market. It seems to be the default recommendation for new pilots, and I can understand why. That said, it might not be the right tool for every mission. The first thing you will notice about the David Clark H10-13.4 headset is that it is huge, and there’s a reason. The headset is designed to reduce the level of noise you hear by creating a barrier around your ears and keeping as much sound away from your ear as possible. There’s no “active” noise cancelling here like with a more expensive Bose set of headphones, instead it’s like encasing your ears in gigantic pillows. 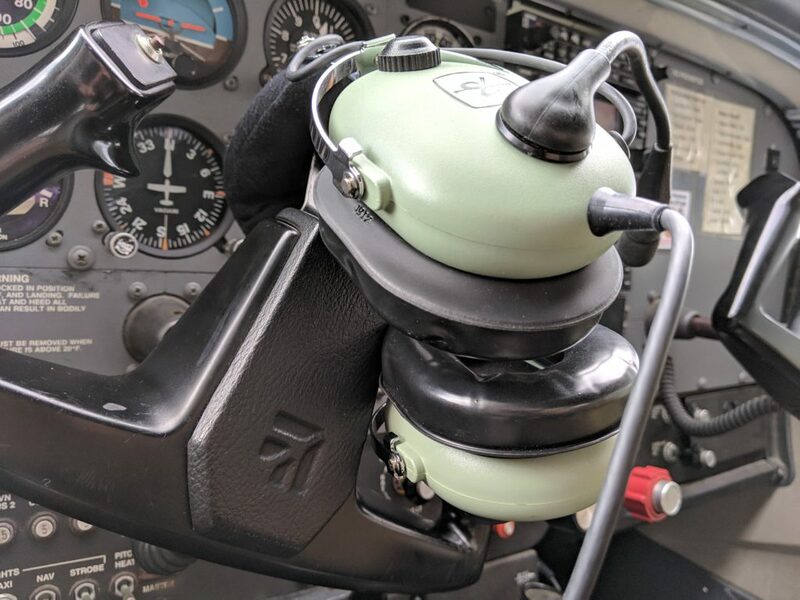 The most important part of this system (in terms of the effectiveness of the noise reduction ability) is the rubber gasket around each of the ear cups. This gasket is designed to seal around your ear and keep as much noise out as possible, and even with my gigantic ears they fit and work pretty well. The gaskets are only fitted onto the headset — there’s no glue, only a stretch fit around a lip on the headset keeping them on. That’s good for cleaning, but it can be annoying if you accidentally find that one has come detached in your flight bag. The big problem comes when you try to add things like sunglasses to the mix. Sometimes the arms on the sunglasses are slim enough that the gasket can still get a good seal around them. Other times you’re left with the only options of enduring the loud engine the entire flight or deliberately filing in the clouds. The microphone on this headset is attached to the same side of the headset where the plugs and the adjustment knob is located. Basically all of the important bits are on this side and the other side is just an earmuff with a speaker in it. The microphone does a great job keeping the noise of the engine out of the transmissions, allowing for very clear communications with the tower. It also swings easily from one side to the other so you can choose which side of your face the microphone is placed. 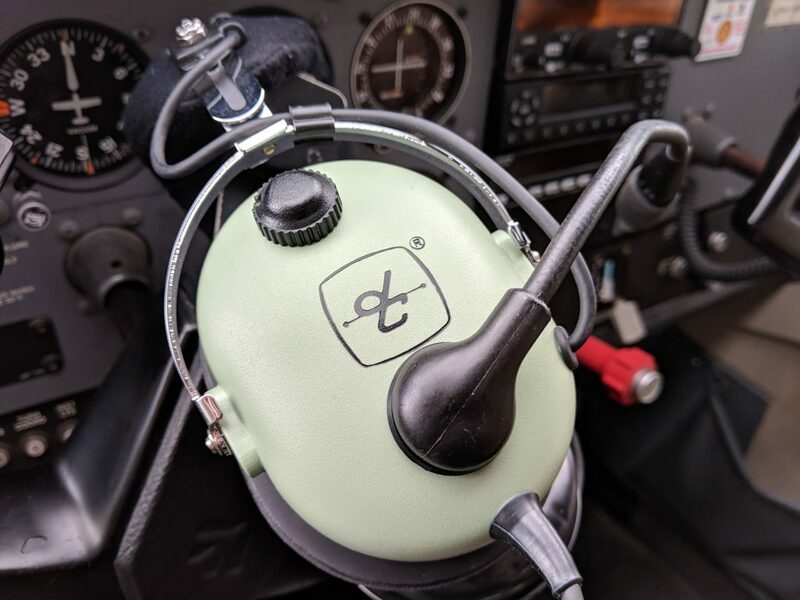 On this headset there’s a single volume adjustment knob that raises and lowers the volume of the audio coming from the com panel in your aircraft. There’s no way to adjust the volume individually which is a nice feature of some other headsets, but honestly I usually find that more of an annoyance than a benefit. Having a single adjustment knob is the better and simpler solution that DC has gone with here. All of the weight of that headset is pretty much supported directly by your head. There’s a bit of padding added to make sure the metal support doesn’t dig into your noggin, but that’s about it. The thing I like most about this headset is that it is built to last. 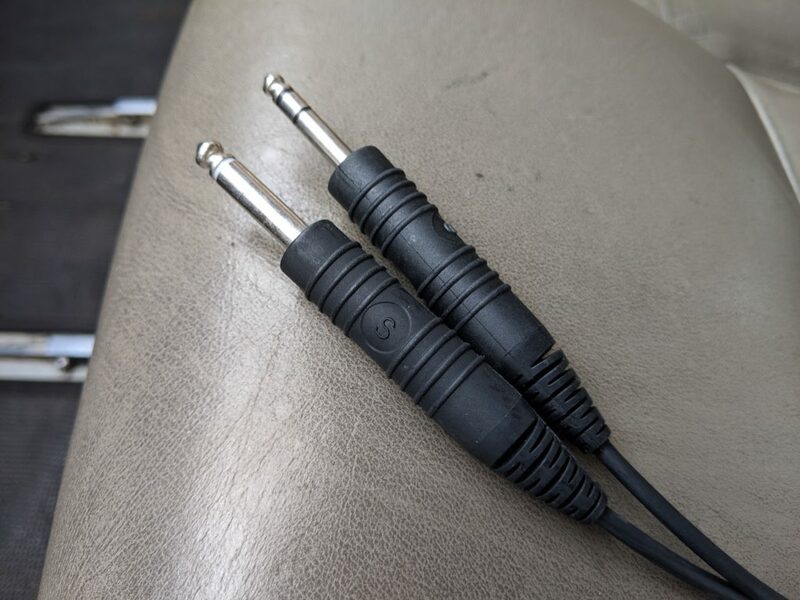 Everything about this headset is designed to last through decades of use and abuse, one of the best examples being the plugs used to connect the headset to the aircraft. On other models of headsets the plugs are almost duct taped to the end of the cable, but here there’s a thick helping of rubber and some added molding to make sure that the plugs will never come apart. I liked this headset. Despite having some issues finding appropriate sunglasses to fit under the ear cups, I thought they did a great job. 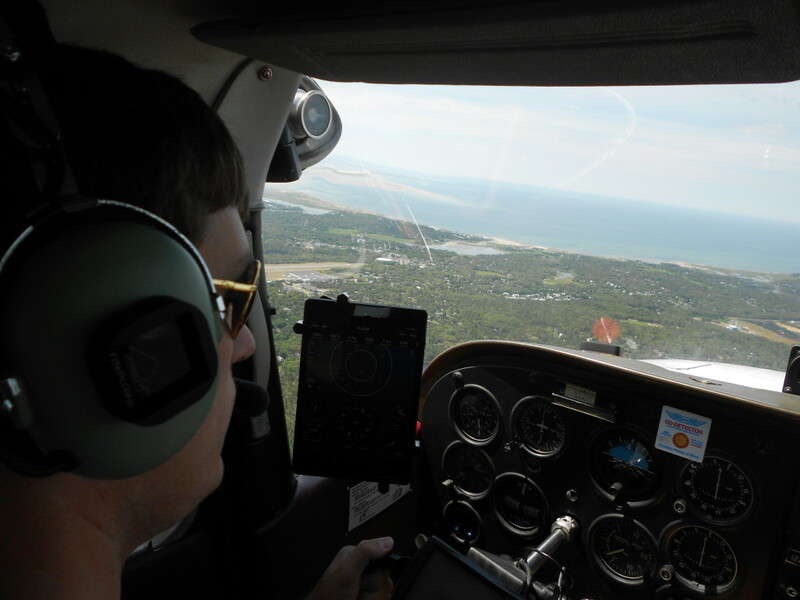 I believed that all throughout flight school, right until I took my first real long cross country trip: a two day multi-hop journey from San Antonio to Provincetown, Massachusetts. The flight started fine and everything was great, but by the end of the first day I knew I was in a bit of trouble. The sunglasses were digging into my ears, the sealed cups were filling with sweat, and it was making my neck hurt to carry all of that extra weight all day long. By the second day I was dreading putting the headset back on. I honestly considered using the built-in speaker and hold handheld microphone in the airplane instead. Once I got to my destination I started looking into alternatives. That was the day I ordered the QT Halo Headset and I’ve never looked back. Honestly I think whether these are the right headset for you has a lot to do with your mission. If you need a TSO approved headset for periods of less than two hours a day I think you’d be just fine with these. But if you don’t need a TSO approved headset then there are other far cheaper options available like these for about 1/3 the price. Sure they aren’t nearly as nice, but I’m a believer in the Adam Savage method: buy the cheapest version possible, and then when you can’t stand it anymore or when it breaks buy the best version available. And by the time you’re ready to move onto something else you’ll have a good idea of what you want in a headset. 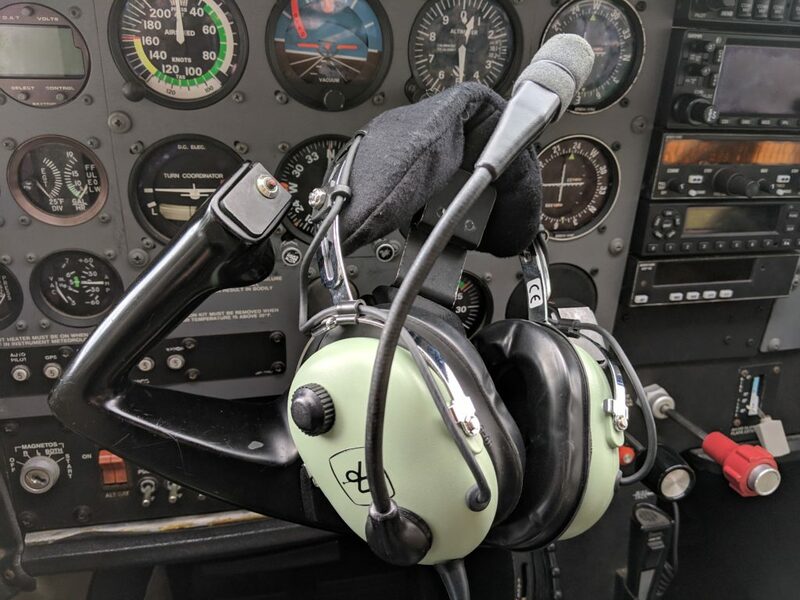 If your mission requires more than two hours a day in an aircraft, this is not the headset for you. You’re either going to want an in-ear set like the Clarity Aloft or QT Halo, or something like the Bose aviation headset. It might seem like a bit of a hike in price but when you’re five hours into your day and your ears aren’t trying to murder you you’ll appreciate the decision. They’re a solid workhorse, they’ll get the job done. But if you need something for long periods of time I suggest you look elsewhere.